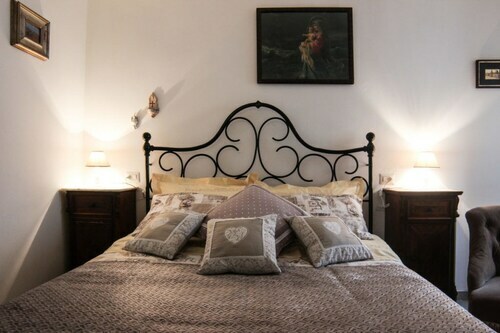 Situated in Santa Fiora, this bed & breakfast is steps from Mercury Mining Museum of Monte Amiata and Parish Church of Saints Flora and Lucilla. Church of Our Lady of the Snows is 0.3 mi (0.4 km) away. Situated in Santa Fiora, this hotel is within a 15-minute walk of Mercury Mining Museum of Monte Amiata, Church of Our Lady of the Snows, and Parish Church of Saints Flora and Lucilla. Parco Piscine Capenti Outdoor Pool and Mount Amiata Fauna Park are also within 6 mi (10 km). LA Casa DI Elsa 6 Sleeps, Villa With Private Pool at Exclusive Use! Situated in Santa Fiora, this historic property is within 1 mi (2 km) of Mercury Mining Museum of Monte Amiata, Church of Our Lady of the Snows, and Parish Church of Saints Flora and Lucilla. Parco Piscine Capenti Outdoor Pool and Mount Amiata Fauna Park are also within 6 mi (10 km). Situated in Santa Fiora, this villa is 0.5 mi (0.8 km) from Mercury Mining Museum of Monte Amiata and within 6 mi (10 km) of Mount Amiata Fauna Park and Castle Arcidosso. Monte Amiata and Garden of Daniel Spoerri are also within 12 mi (20 km). Situated in Santa Fiora, this hotel is within 1 mi (2 km) of Mercury Mining Museum of Monte Amiata and Church of Our Lady of the Snows. Parish Church of Saints Flora and Lucilla is 1.4 mi (2.3 km) away. Situated in the mountains, this romantic villa is within 3 mi (5 km) of Parco Piscine Capenti Outdoor Pool, Mercury Mining Museum of Monte Amiata, and Church of Our Lady of the Snows. Parish Church of Saints Flora and Lucilla is 2.1 mi (3.4 km) away. 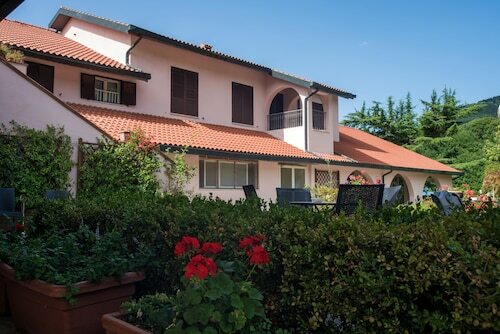 Situated in Arcidosso, this spa guesthouse is 0.8 mi (1.3 km) from Parco Piscine Capenti Outdoor Pool and within 3 mi (5 km) of Mount Amiata Fauna Park and Castle Arcidosso. Mercury Mining Museum of Monte Amiata is 3 mi (4.8 km) away. Situated in a rural location, this property is within 3 mi (5 km) of Church of Our Lady of the Snows, Monte Labbro, and Mercury Mining Museum of Monte Amiata. Parish Church of Saints Flora and Lucilla is 3 mi (4.8 km) away. Situated in a rural location, this property is within 3 mi (5 km) of Church of Our Lady of the Snows, Mercury Mining Museum of Monte Amiata, and Parish Church of Saints Flora and Lucilla. Monte Labbro is 2.9 mi (4.7 km) away. Situated in Arcidosso, this spa hotel is 0.8 mi (1.3 km) from Parco Piscine Capenti Outdoor Pool and within 3 mi (5 km) of Mount Amiata Fauna Park and Castle Arcidosso. Mercury Mining Museum of Monte Amiata and Church of Our Lady of the Snows are also within 3 mi (5 km). 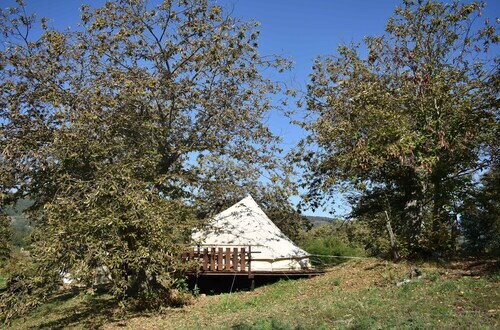 Situated on a river, this historic campground is close to Parish Church of Saints Flora and Lucilla, Church of Our Lady of the Snows, and Mercury Mining Museum of Monte Amiata. Area attractions also include Monte Labbro and Parco Piscine Capenti Outdoor Pool. Don't spend time hemming and hawing about what you should do next. Mercury Mining Museum of Monte Amiata is always ready for you. In order to locate it, you will have to travel to Santa Fiora, 80 miles (129 kilometers) from Rome, the nation's capital. Make your trip to Mercury Mining Museum of Monte Amiata comfortable and convenient by staying in the area. You’ll find 11 possible accommodations within 6 miles (10 kilometers). See which one appeals to you the most out of the Residence Terre Gialle and Hotel Gambrinus. If you'd rather pocket a bit of your hard-earned cash for some of the more important things in life, you can stay at one of the economical hotels within easy driving distance. If you're not sure where to start, take a look at the Borgo Tepolini and the Albergo Le Macinaie. It might be the perfect time to splurge on that special something. Treat yourself to a fantastic night or two at one of the few first-class establishments within easy driving distance. Rooms at the Park Hotel Spa & Resort and Grand Hotel Impero Spa & Resort are ideal. Once you've finished wandering around, follow those in the know to Il Barilotto (Via Carolina, 12, Santa Fiora), one of the more popular places to treat yourself to a delicious bite to eat. You might want to do nothing more than kick back and relax, you can order a drink at Bar Gelateria Gigi Di Bani Stefano (Piazza Giuseppe Garibaldi, 33, Santa Fiora), and enjoy the pleasant conversation of fellow travelers and friends. Grasp a deeper sense of the spirit of the area by walking around Parish Church of Saints Flora and Lucilla, a local place of worship. Consider going on a visit to Church of Our Lady of the Snows, a well-known house of worship and a popular tourist attraction. Let the kids splash about in pools and test out their swimming skills at Parco Piscine Capenti. A tranquil and protected place, Mount Amiata Fauna Park is a nice location to relax with the birds. If you opted to bring kids along, give them the chance to see the remarkable Castle Arcidosso, a not-to-be-missed attraction with tourists here. 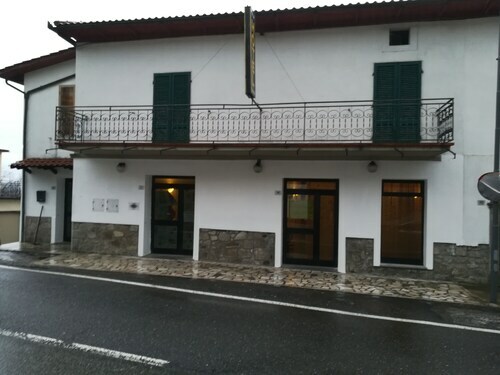 How Much is a Hotel Room in Mercury Mining Museum of Monte Amiata? 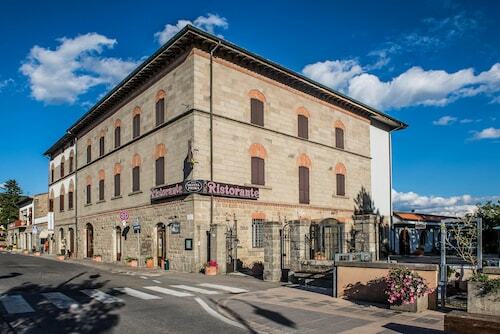 Hotels in Mercury Mining Museum of Monte Amiata start at $66 per night. Prices and availability subject to change. Additional terms may apply. 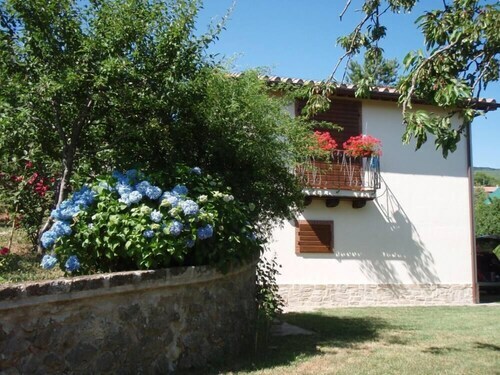 Casale Giulia 6 Sleeps, Villa With Private Pool at Exclusive Use! 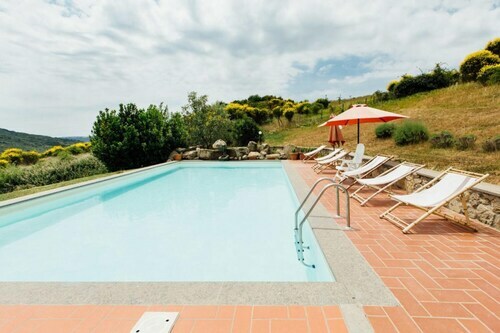 Tenuta Brancoleta 16 Sleeps, Villa With Private Pool at Exclusive Use! Your Dream House With Private Pool, Beautiful Views and Pure Nature!